Are your stomach and brain worth a million dollars? Are You Afraid of Memory Loss? *These statements have not been evaluated by the Food and Drug Administration. These products are not intended to diagnose, treat, cure or prevent any disease. If you are pregnant, lactating or on medication, please always ask your doctor for advice before you use food supplements. The product information used are product descriptions from Lifepharm Global Network. 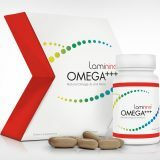 Fountain of Youth cannot be held responsible for product information provided on this page or the functionality of the linked Lifepharm shop. The product information and statements are from the manufacturer Lifepharm. The information contained in this website is for general information purposes only. All text and pictures used are from Lifepharm Global Network product information. All shop links refer directly to Lifepharm®. All products purchased are sold directly from Lifepharm. Fountain of Youth is an authorized and registered distributor of Lifepharm Global Network. 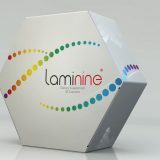 Laminine is a registered trademark of Lifepharm, Lake Forest. California, USA. Lifepharm Global Network policies and procedures disclaimer for authorized IBO webpage created through the LPGN replicated website program: This website is not endorsed or operated by LifePharm Global Network. The information and views expressed on the site are solely those of the owner of the site and do not constitute advertising of LifePharm Global Network products. FOUNTAIN OF YOUTH © 2019. All Rights Reserved.